Does the Form of Vitamin You Take Matter? Posted on July 16, 2015 | Comments Off on Does the Form of Vitamin You Take Matter? Vitamins and minerals form the foundation of healthy nutrition. Supplements and nutraceuticals that provide essential nutrients come in a wide range of formulations, including tablets, softgels, capsules, powders, liquids, chewables, sublingual lozenges, food bars and injections as prescribed by your physician. Different forms may provide greater benefits to you under certain unique conditions. Those who may have difficulty swallowing capsules or tablets, or those who have poor digestion or absorption issues, may find that liquid or sublingual supplements provide a greater benefit in an easy to take form. Absorption appears to be the top concern among supplement users, with the physical format mostly a matter of personal preference in accordance with their budget and lifestyle. High quality supplement manufacturers invest heavily in research and development to ensure their products are shelf stable and are able to break down, generally in a specific amount of time, and be absorbed into the bloodstream for optimal utilization. In order to provide the greatest benefits from the supplement, reputable manufacturers consistently test and retest their formulas to ensure their ability to be properly absorbed. And as with any healthy nutrient, whether from food or a supplement, faster absorption isn’t always better. For this reason, certain essential nutrients are designed in time release formats while others, such as energy or pre- and post-workout products, are designed for faster absorption. Tablets – By far the most cost effective, tablets can be offered in a wide variety of shapes and sizes. While all high quality supplements are tested for shelf life and dated accordingly, tablets are generally designed to retain potency for a longer period of time, which may be a consideration when purchasing larger quantity bottles. Additionally, many tablets are notched, making them easier to split for those who prefer to divide their dose or to aid swallowing of larger tablets. Capsules – Capsules allow for unique combinations of ingredients and offer protection for sensitive ingredients. Capsules are generally odorless and tasteless, are easy to swallow and the gelatin or vegetarian capsules tend to break down quickly once swallowed. Capsules are likely to be more costly than tablets due to delicate manufacturing processes. Some prefer capsules because they can be taken apart and mixed with liquids or smoothies. Liquids – Liquid supplements are ideal for ease of use and offer the most flexibility for individualized dosing. High quality liquid nutrients are readily absorbed into the blood stream and easily utilized. Some may shy away from liquid nutrients under the assumption that they will dislike the taste, but many are naturally flavored and can provide higher concentrations of nutrients. Children, seniors and those who have trouble swallowing tablets or capsules may be good candidates for a liquid format. Vitamin D 3 is a popular supplement that is readily absorbed in liquid form. Softgels – Softgels are known for ease of swallowing and most often contain liquid or oil-based formulas. They offer less flexibility with dosing determined only by the number of softgels you consume, as they cannot be broken or split. Softgel manufacturing is highly specialized, so products tend to be pricier than tablets or capsules. However, because they are air tight and completely sealed, they offer stability and a long shelf life, ensuring good value for cost. Chewables – Chewables don’t require much explanation. Chewables for adults are different formulas than those designed for children. Adult chewables may be a good solution for those on the go and or those who just prefer chewables over other formats. Most can be taken with or without food and, although no water is required, a cup or so of liquid ensures all the bits and pieces are swallowed. They are generally lower in potency than capsules or tablets, which some find preferable. They tend to be easy on the stomach, as they are partially broken down by chewing and saliva. Chewables may have added sugar and many are fruit flavored making them pleasant tasting, so be sure to store them out of reach of children. Sublinguals – Sublingual vitamins, whether in tablet or liquid form, are meant to be dissolved under the tongue and absorbed through the mucosal membranes of the mouth, entirely avoiding the gastrointestinal tract. One vitamin often taken sublingually is vitamin B12. For vitamin B12 to be absorbed in the intestines, intrinsic factor, released by the stomach walls, and sufficient hydrochloric acid must be present. Some people are deficient in hydrochloric acid or don’t produce sufficient amounts of intrinsic factor required for absorption. For those who are not able to absorb B12 via the intestines, sublinguals are a route to enhanced B12 absorption. Powders – Powdered formulas, especially protein formulas, are increasingly popular for those who rely on breakfast or snack time smoothies to get their full complement of vitamins and minerals, often along with other nutrients such as amino acids, enzymes and antioxidants. Protein powders generally contain high quality protein sources such as whey, soy, or pea protein and most, but not all, contain flavoring such as chocolate or vanilla. Protein powders are an easy way to add protein to your diet while getting essential vitamins, minerals and other nutrients. Not all powders are identical or contain additional nutrients, so be sure to check the list of ingredients to ensure you are meeting your individual needs. Whatever format you choose, be sure to buy from reputable suppliers where identity, potency, purity and stability is of the utmost importance. To get the most benefit from your supplements, always adhere to label directions or follow your healthcare providers advice. For further information about any of our products, please feel free to call or email Professional Supplement Center. 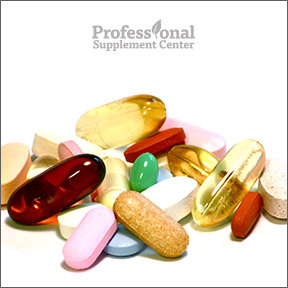 This entry was posted in Home and tagged Capsules, Chewables, Does the Form of Vitamin You Take Matter?, Liquids, Powders, Professional Supplement Center, Softgels, Sublinguals, Tablets, Vitamins and supplements, www.professionalsupplementcenter.com. Bookmark the permalink.